Founded in 2001 Spoke Magazine is an award winning mountain biking magazine with a strong following and reputation for high quality design. UpShift talked to Arrowsmith Publishing in 2015 about a complete rebuild/ redesign of the old Spoke website to modernise the design, enhance user experience, and make the website mobile friendly. Using Squarespace we migrated the 3,000+ articles from the old Wordpress website and built a custom website design using Squarespace's Developer Mode. 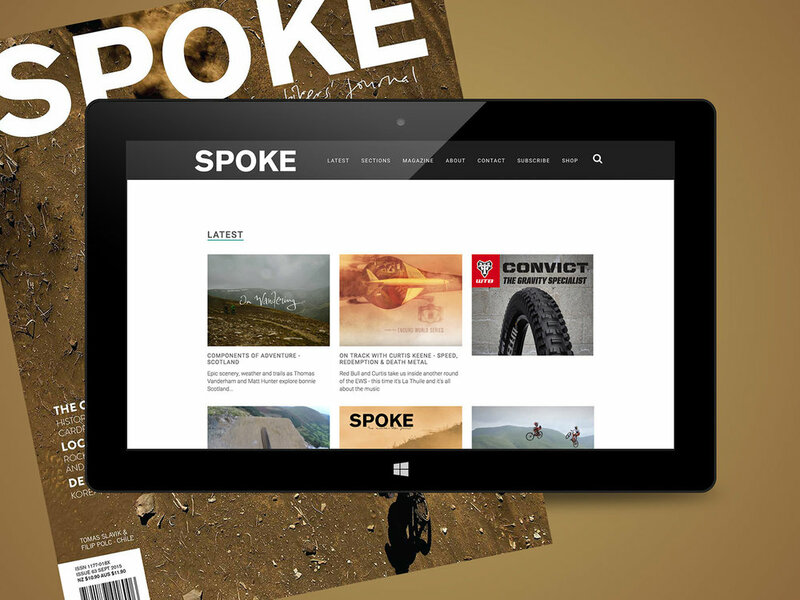 The new Spoke Magazine website was launched in October 2015 to fantastic feedback. We really enjoyed working with the Spoke team on this project.